The overall goal of the Research Education and Training Plan (Core B) is to train a broad spectrum of stakeholders in the skills and strategies needed to enhance stroke disparities research and decrease stroke disparities in the African American and Hispanic communities. Evidence-based disparities training will focus on raising awareness and empowering medical providers, research personnel, and healthcare trainees involved in the care of stroke cases or investigating stroke or vascular disease in South Florida and Puerto Rico. Educating healthcare professionals in South Florida and Puerto Rico to positively impact stroke risk factor control and reduce stroke disparities. b) stroke prevention strategies with a bilingual curriculum. 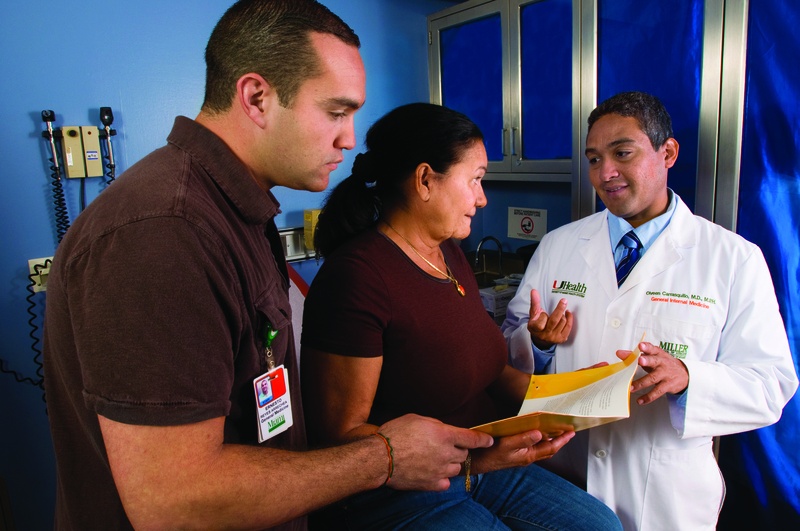 Providing primary care providers in South Florida and Puerto Rico with the tools to implement evidence-based measures to reduce stroke disparities for stroke prevention and treatment. Training the primary care providers to effectively implement secondary stroke prevention measures. Provide community physicians a bilingual curriculum that equips them to recognize stroke disparities with emphasis on African Americans and Hispanics. b) methods to improve quality performance and reduce disparities. Educate healthcare trainees on the importance of research to address stroke disparities.